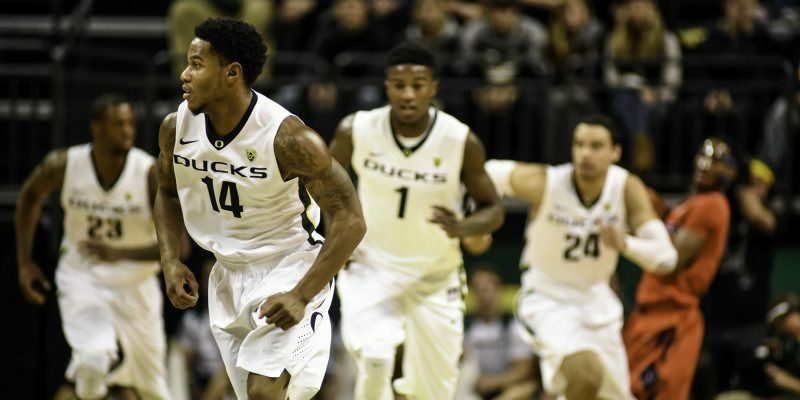 The 2014-2015 Oregon Ducks men’s basketball team had one of the most exciting regular seasons in recent memory. Not only did the Ducks finish in a two-way tie for second place in the conference, but they also played in the Pac-12 championship game against the Arizona Wildcats and, for the third straight season, they qualified for the NCAA Tournament. The Ducks will begin their improbable run when they square off against the Oklahoma State Cowboys this Friday in Omaha, Nebraska in the round of 64. Despite the fact that Dana Altman has guided the Ducks to five straight 20 win seasons, Oregon is still looked upon as an underdog. Can you argue with that sentiment, though? Probably not. When you think back to Oregon’s tumultuous offseason, which included the dismissal of Damyean Dotson and Dominic Artis, the Ducks were expected to struggle mightily this season. Despite facing unfortunate circumstances, though, these high-flying Ducks never got discouraged. They’ve been on a mission since the first game of the season and they’re ready to show the college basketball world that they belong. However, while the men in green and yellow feel like they’re just getting started, some experts believe that their NCAA Tournament run will be short lived. ESPN Bracketologist Joe Lunardi believes that Oregon has a slim chance of excelling during March Madness. The Ducks are a one-point favorite against Oklahoma State, but they’re expected to face off against the Wisconsin Badgers in the third round of the tournament. There is absolutely no telling what will happen with this run-and-gun Oregon team; the Ducks have showed their heart and resiliency all season long. Expect them to continue fighting until the final buzzer goes off.